« Interested in Pulling Kudzu in Rockland County? Here’s Your Chance. From Steve Y0ung, NY Natural Heritage Program. On October 12th I went to the TNC preserve called Big Woods on the South Fork of Long Island to update 5 rare plants growing in the high salt marsh there. They were last documented there in 1995 and were thriving in a beautiful and diverse salt marsh. With three other people we searched the shoreline but were met again and again with the scene below. In the last 15 years Phragmites australis had taken over the entire high marsh and eliminated the Iris prismatica, Salicornia bigelovii, Lilaeopsis chinensis, Sabatia stellaris and Plantago maritima. 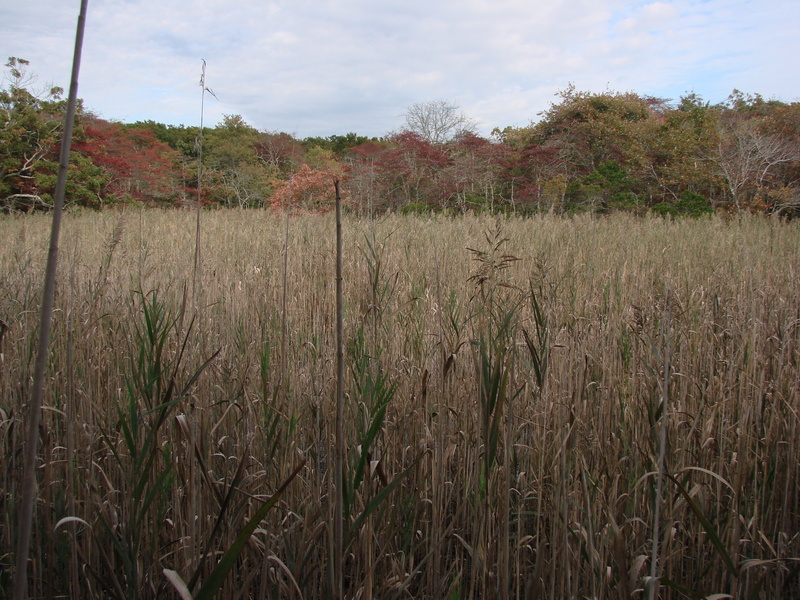 Many of the high salt marsh areas on Long Island are now changing to Phragmites monocultures and these saltmarsh rare plants will disappear completely in the years to come. We hope to survey more marshes next year to get an idea of how quickly this process is happening and what we will actually lose. This entry was posted on October 14, 2010 at 9:29 am and is filed under Invasive Species. You can subscribe via RSS 2.0 feed to this post's comments. You can comment below, or link to this permanent URL from your own site.